My husband opened a foreign bank account that I only recently became aware of. He did not file foreign bank account reports (FBARs) on FINCEN Form 114, or its predecessor TDF 90-22.1. He also didn’t check the box on Schedule B declaring that he had a foreign bank account, nor did he file IRS Form 8938 reporting the account. I am concerned that the IRS might impose stiff penalties on me for failing to file the FBARs. Can I be an “innocent spouse"? The term innocent spouse only applies to income tax returns. So for example if the your husband didn’t report income from the foreign bank accounts on your joint income tax returns you might qualify as an innocent spouse, and therefore not be required to pay the additional taxes associated with the unreported income. On the other hand, you cannot be an “innocent spouse” for the purposes of the FBAR rules. This is because the FBAR penalties are not part of the tax law. The FBAR rules are part of title 31 of the U.S. Code which is known as the “Bank Secrecy Act.” The tax laws are contained in title 26 of the U.S. Code. However, if you are not a signer on the foreign bank account, and you are not considered to have a “financial interest” in the foreign bank account then there was no requirement for you to file an FBAR; that was your husband’s responsibility, and you cannot be penalized for that. Furthermore, just because you may have a community property interest in the foreign bank account that does not mean that you have a financial interest in the account. To put it another way if your only stake in the foreign bank account is your community property interest you are not required to file an FBAR. Another point to remember is that even if you had a requirement to file an FBAR you cannot be penalized for the failure to file the FBAR, unless your failure to file was willful, or at a minimum negligent. If your failure to file was due to reasonable cause, and you can establish that to the satisfaction of the IRS, or a court then there is no penalty. 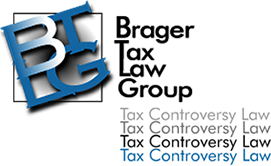 If you didn’t know about the existence of the foreign bank account our tax attorneys would definitely argue that you had reasonable cause for not filing an FBAR.